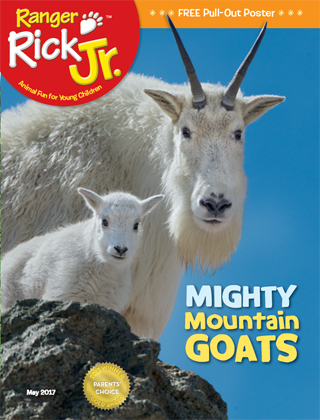 Ranger Rick Jr. magazine offers many opportunities for spending quality time with your child. Each page can be used to talk about animals, as well as numbers, colors, and letters of the alphabet. Turn to pages 18–19 and look at the photo of the baby foxes. Ask your child to count the number of foxes (6). Then ask her to count the number of ears (12). How many foxes have their eyes closed (2)? After you read the poem, ask your child to find the letters E, F, O, S and X. These activities reinforce the learning about letters and numbers children are doing in preschool and kindergarten. In Ricky and Pals, on pages 22-25, the characters are playing a favorite children’s game–I Spy with My Little Eye. Play this game with your child using the pictures on pages 22-23. 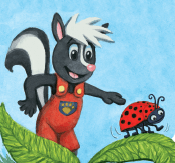 You go first saying, “I spy with my little eye something round, can you guess what it is?” It could be a yellow button on Sammy’s overalls or the black spots on the ladybug or the polka dots on Flora’s headband. Have your child go next by asking you to locate a color or object. Encourage your child to play this game with family members and friends inside and outside the home. 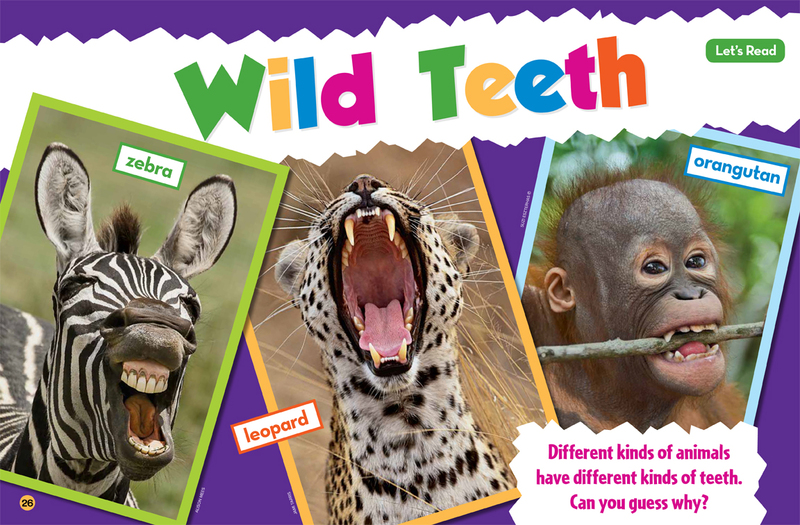 Read the story about animal teeth on pages 26-31 with your child. Then have a discussion about how your child uses his teeth–front teeth (incisors) for cutting food and back teeth (molars) for grinding. Talk about the importance of good dental health and the need to brush at least twice a day. Have fun spending time with your child.